Together We Are: Providing Opportunities, Providing Futures. Arise first met Vainess when she was 11 years old. She has been a student in our sponsorship program since 2011 when she was in the 4th grade. She has had the same American sponsor, Julie Smith, since day one. It’s crazy to believe she is now 19, a high school graduate, and will soon be going off to pharmacy school! Vainess and her family live in the Matero compound, one of the poorest communities in Lusaka. She lives with her parents, Angel and Vainess (she’s named after her mom), and is the youngest of 4 siblings, having lost one of her brothers. She comes from a hard-working and loving family, but unfortunately it isn’t always enough to provide all that a family needs. Vainess’ dad is a loving and compassionate father. He earned his way up to supervisor at an import and export company in Lusaka. He worked there for 15 years, and her mom sold vegetables at the community market. Her parents made an honest living and were able to financially provide for Vainess and her siblings’ basic needs. They even took in extended family members that needed support. The entire family looked up to her parents. In 2015, Vainess’ father had a stroke and he could not work anymore. Her mom also stopped working in order to stay home full-time and take care of her dad. There wasn’t anyone to provide for Vainess and the family. At 15 and still in school through Arise, Vainess and her brothers started working to become the sole providers for the family after school. They started gardening and grew their own vegetables to sell. They made just enough to get by. Vainess with her brother (left), dad, mom, and grandmother. 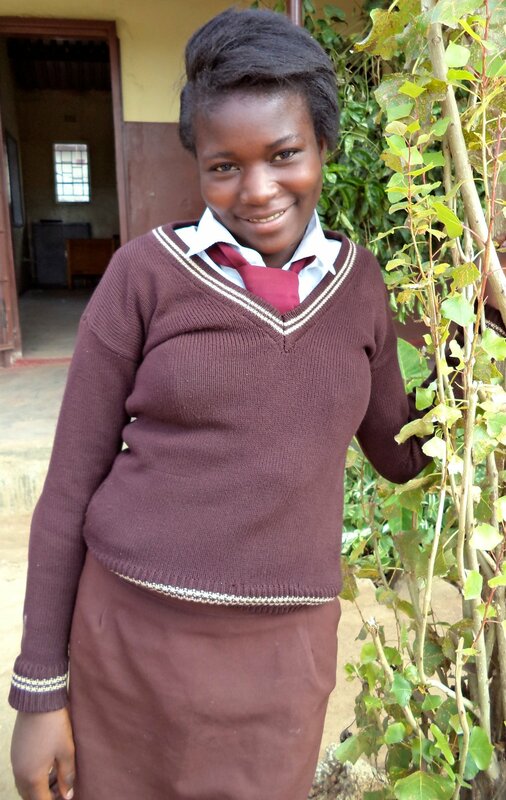 Vainess is so thankful for Arise Africa and her sponsor, Julie, during this time for enabling her to stay in school and continue to get an education. Her Child Sponsorship Director, Brenda, describes Vainess as “enthusiastic and determined”. Through the pain and hardship, she followed in her father’s example as a hard worker to work and study in school. She’s grown to be a positive influence and a leader to her peers. Arise has been so honored to walk alongside Vainess, encourage her, disciple her, and believe in her. Beginning in high school Vainess started working with Arise’s guidance counselor to begin to plan for her future upon graduation. After passing her 12th grade exams in December 2018 with high scores she proved that she is capable of a higher education. Arise was excited to be able to offer for her to go to pharmacy school. Pharmacy school won’t begin until the fall so in the meantime Arise was able to help her get a job working as a hairdresser and beautician while she waits to begin classes. She couldn’t be more excited and we couldn’t be prouder! Through Julie’s support, the Arise team has not only be able to help Vainess financially with her education, but emotionally and spiritually as well. Arise has had the opportunity to love and build relationships with her whole family too. Vainess is so grateful for what Arise has done for her throughout the years, and we are so thankful for her! Her journey hasn’t been easy, but her future is so so bright. Thank you to Julie and many others who support students just like Vainess. Join us in our commitment to providing students like Vainess with the opportunity to pursue their dreams and give them hope for the future.